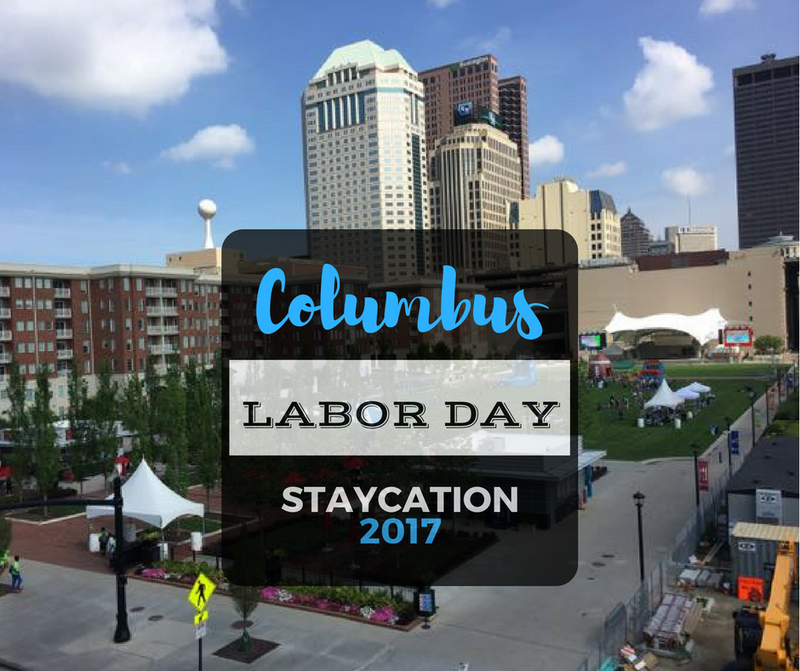 Labor Day Archives | What Should We Do Today? The Columbus Greek Festival is going on Friday-Monday, so you make this a part of any day this weekend! However, you should stop in on Friday because your ticket ($5 for adults, kids 12 and under are free) is good for the entire weekend! That way, any time you don’t feel like cooking this weekend, you can head down to the festival for yummy greek food instead! 😉 Besides food, the festival also includes educational activities, shops, music and dancing, exhibits and a kids activity center! See the link for all the times and details! 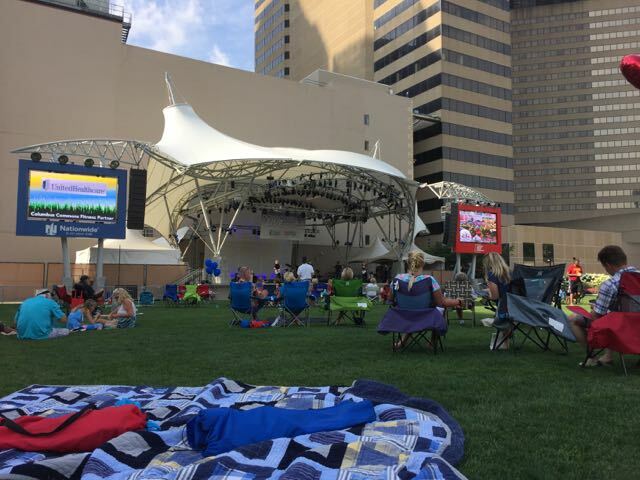 Kick off the weekend with a free concert at Columbus Commons! Drinks and food trucks begin at 5:30 PM and the opening act starts at 7:00, so even if the kiddos can’t stay up for a late concert (which starts at 8:00 PM), you can have dinner and enjoy some music before bedtime! 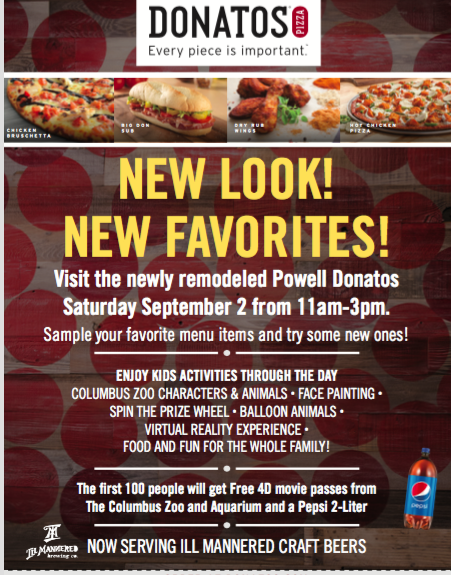 Dontatos Powell celebrates it’s reopening of the new store and the new school year with a block party from 11:00 AM – 3:00 PM! There will be face painting, guests from the Columbus Zoo, balloon animals and virtual reality games! The first 100 people will get Free 4D movie passes from The Columbus Zoo and Aquarium and a Pepsi 2-Liter! There will also be free pizza! Who remembers reading Highlights at the doctors’s office? I do! I do! 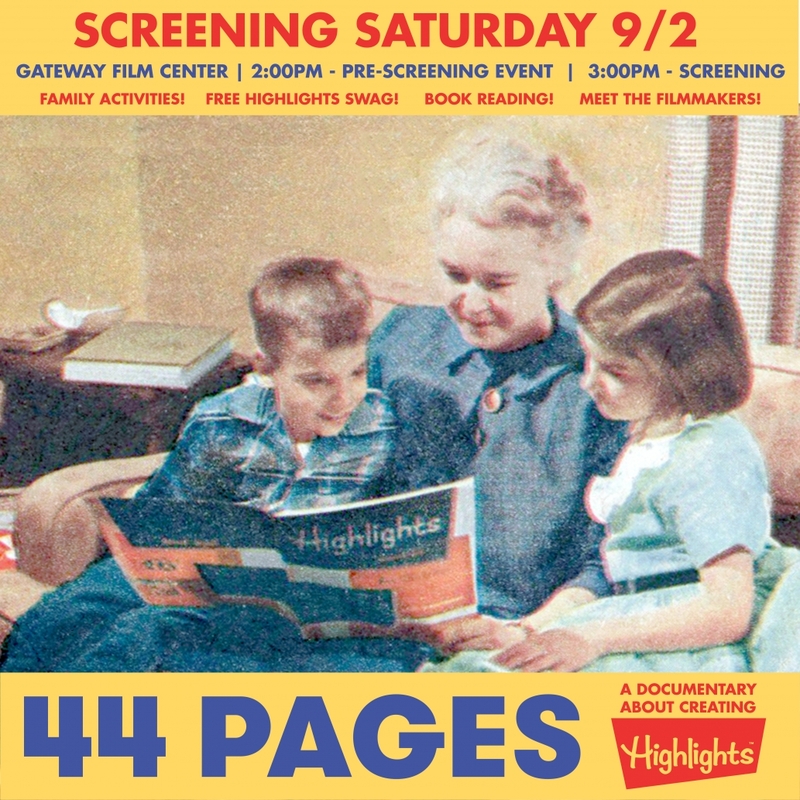 Headquartered in Columbus, Highlights is celebrating it’s 70th Anniversary Issue with a new documentary called 44 PAGES.  The Columbus screening takes place at Gateway Film Center and on Saturday, a special family-friendly event is being held that includes free giveaways, a book reading, games, crafts and more! Activities start at 2:00 PM and the movie will be shown at 3:00 PM, followed by a Q&A. 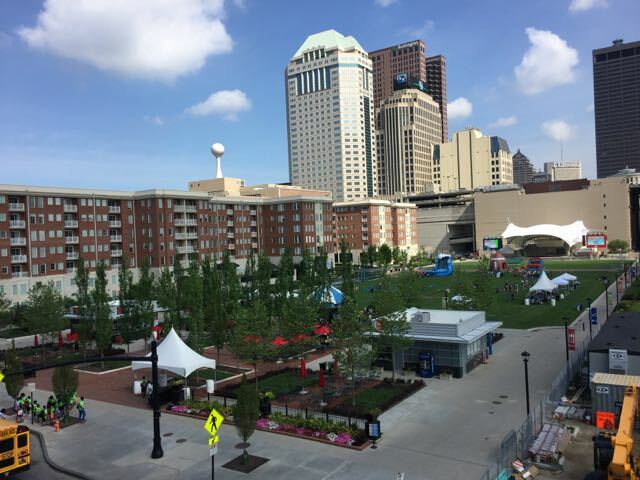 Head down to Columbus Commons for a free Family Fun Day, Saturday from 12:00 PM – 4:00 PM! Activities include inflatables, face painting, balloon twisters, putt-putt, crafts, a photo booth and more! A $5 wristband is available for unlimited access to all activities. (Not all activities require a wristband.) Food trucks will be on site and the movie The Jungle Book will be shown at 4:00 PM. 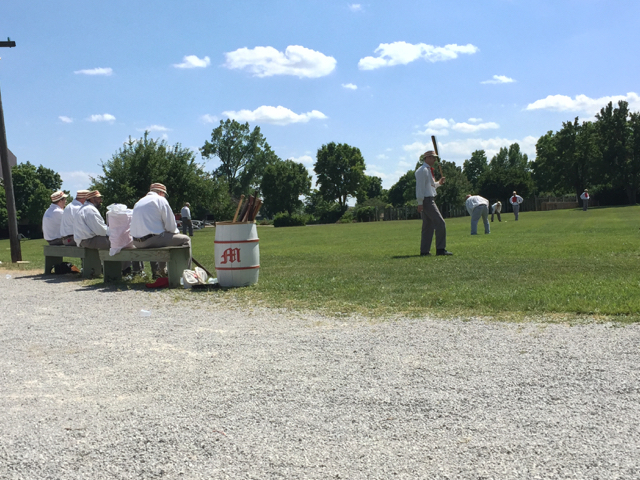 The Ohio Cup features over 30 teams from all over the US who come to Ohio Village for one of the largest vintage base ball festivals in the nation! This is 1860’s style base ball (yes, it was two words back then)! There will also be fun games for the kids, dancing, a barbershop quartet, food trucks, rides in a Ford Model A, blacksmith demonstrations and the chance to try out base ball for yourself! This event is going on Saturday AND Sunday, so you can take your pick! Included with general admission or membership. Thursday through Sunday you can see the Actors’ Theatre of Columbus perform Shakespeare’s The Tempest in Schiller Park. The performances are “pay what you will” and donations are gladly accepted. You can reserve a seat ahead of time for $20 or reserve a blanket space for $20 which includes an ATC logo blanket! 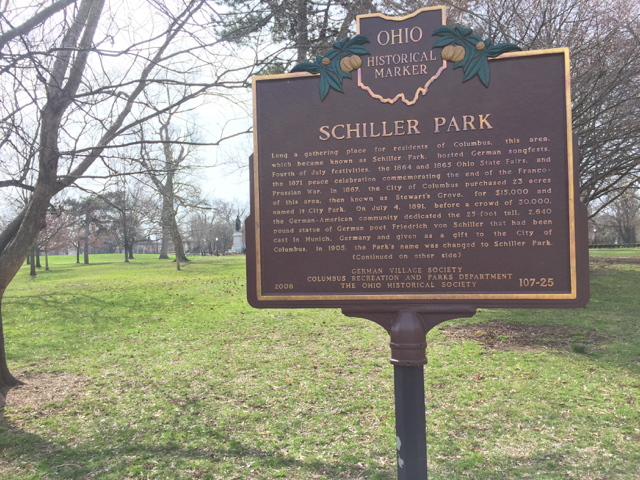 The Upper Arlington Arts festival is held in Northam Park and features around 200 local, regional and national artists. There is also live entertainment, vendors, art activities and food available for purchase! Admission is free! Sugardale Hot Dogs are only $.10 each all night (or afternoon) long! 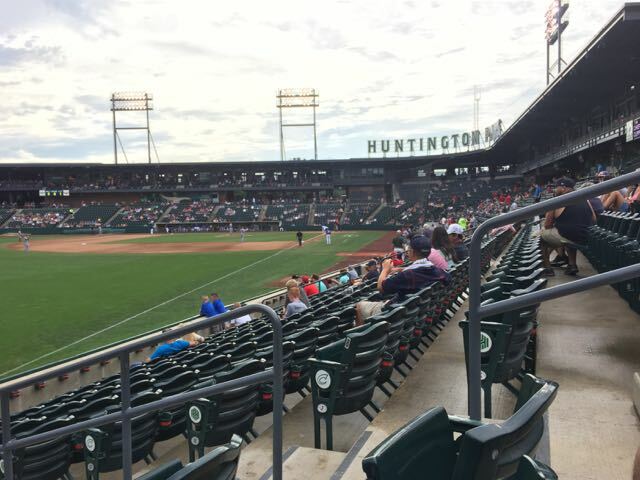 The Clippers play the Louisville Bats at 2:05 PM!